If you’re one of the many Mac users who uses multiple Macs, say an iMac at home or work, and a MacBook on the go, you should get DropboxAppSync. This free utility syncs your ~/Library/Application Support/ folder across multiple Macs via the free Dropbox service, allowing you to have the exact same app setups, like preferences, plugins, bookmarks, game files, cache, etc, on all of your Macs, regardless of where you are, as long as you have internet access. Setup is very simple. Once you have Dropbox configured, quit your open applications, and then just launch DropboxAppSync on the first Mac that you want to be the primary /Application Support/ folder to be synced. If this utility finds your Application data on Dropbox already, it will simply link to the data on Dropbox instead of copying the data over. However, a backup copy will still be saved to your desktop. Then you run DropboxAppSync on the other Macs, and the app is smart enough to already detect the app data exists so it will simply link to it, syncing your Macs apps. The developer reminds us that not all apps may support being synced like this, but from user testing there haven’t been many reported issues. The 2GB free Dropbox account should be adequate for this service with the vast majority of Macs and Mac apps – unless you have Steam games installed like TF2, which store all of their application data in your /Application Support/ folder and causes it to take up a lot of space. For example, without Steam my Application Support folder is about 700MB and I have tons of apps installed, but with Steam it’s well over 25GB. In that case, you’d want to pay for a larger Dropbox account, or just exclude Steam apps from being synced, but it would be an easy way to have all your game data the same on all your Macs rather than manually moving the Steam folder yourself. Syncing app data across multiple Macs is something that iCloud should do, and hopefully it will in future versions, but in the meantime this is a great free solution. This is awesome! I’ve been doing something similar to this for a while manually but it’s been a pain, I love that someone finally made an app for it. This should be on the App Store! I thought this was included with iCloud and MobileMe? Settings can be synced across multiple Macs with MobileMe but that functionality is not being carried over to iCloud. And unless you use your various Macs the exact same way it is sometimes more of an annoyance to have settings synched. I turned it off for my Air as I do not use that like I do my Mac that has a much larger display. As an example I would auto-hide the dock on the Air only to have that replicated everywhere else. If this is really using DropBox to store settings, as opposed to just syncing up to it, I want no part of this. Conceptually, this is a good app but I would be worried about it from a security POV. What about keychains, Paul? As this is to disappear when iCloud takes over from MobileMe, this would be of interest to some (me). 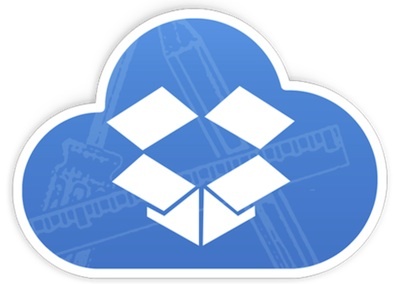 Keychain in Dropbox after there GLARING security breach? You really would consider that? While this is pretty neat, I’d be interested in a resume-like and/or versions-like feature across all Mac OSX & iOS devices. Especially, for Safari and productivity apps like Pages, Keynote, Numbers, etc. That way I can pick up reading what I started in the morning at home on my commute to work. In addition, I wouldn’t need physical memory to transfer my documents along and all documents would include all versions, as well. Well for just reading Kindle/Nook app will do that across Macs and iOS devices (and of course the ereaders). Tinman, thanks that’s what I would like to see. The same functionality the Kindle/Nook apps provide across OSX and iOS but for Safari. It would be nice to have resume and versions for the productivity apps across OSX and iOS, as well. Is it possible to do something like this for individual applications?